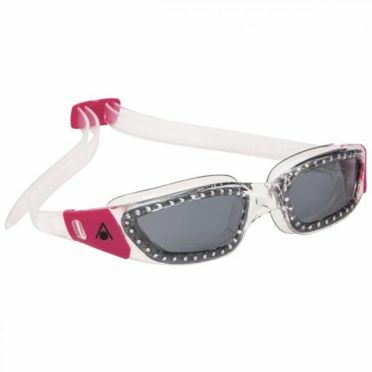 The all new Aqua Sphere Kaiman EXO Lady dark lens goggles black/white is the successor of kaiman and is equipped with the new Aqua Sphere EXO-Core Technology to offer the glasses improved comfort and stability. 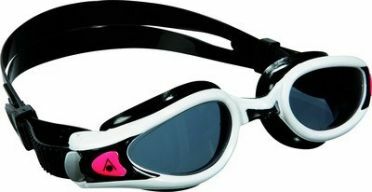 Designed with lady fit, specially designed for women These streamlined designed and light swimming goggles have excellent sealing properties and it prevents pressure points on the eyes. With stress-free, flexible nose bridge. 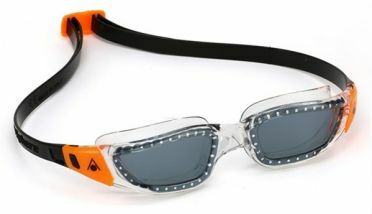 The specially designed dark lenses ensure a great vision during outdoor swimming or swimming in bright light. 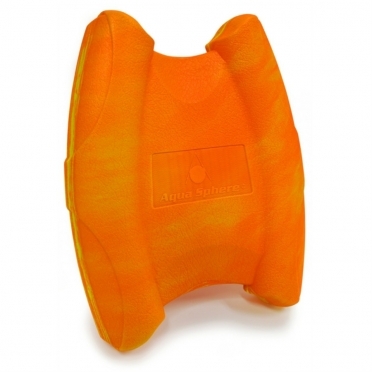 The new comfort-buckle system with micro-adjustment and low profile improves hydrodynamics. Note: we advise you to test on 'dry' if the swimming goggles fit properly, before using them in the water (return is not possible after use in the water). 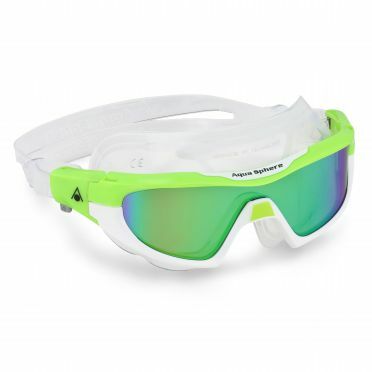 The all new Aqua Sphere Kaiman EXO dark lens goggles black/white is the successor of kaiman and is equipped with the new Aqua Sphere EXO-Core Technology to offer the glasses improved comfort and stability. 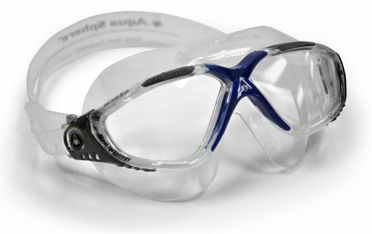 These streamlined designed and light swimming goggles have excellent sealing properties and it prevents pressure points on the eyes. With stress-free, flexible nose bridge. 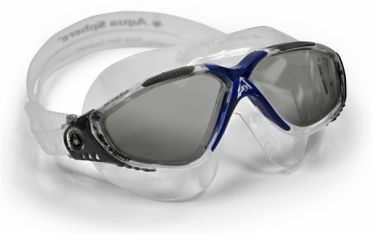 The specially designed dark lenses ensure a great vision during outdoor swimming or swimming in bright light. 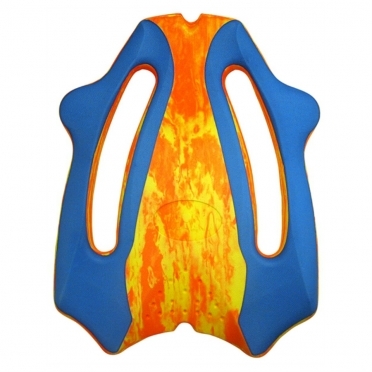 The new comfort-buckle system with micro-adjustment and low profile improves hydrodynamics. Note: we advise you to test on 'dry' if the swimming goggles fit properly, before using them in the water (return is not possible after use in the water). 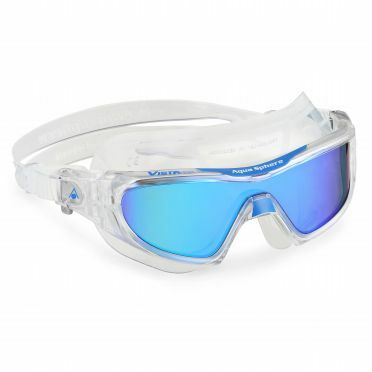 The Aqua Sphere Vista clear lens goggles grey are equipped with the best Aqua Sphere technologies for water sports. 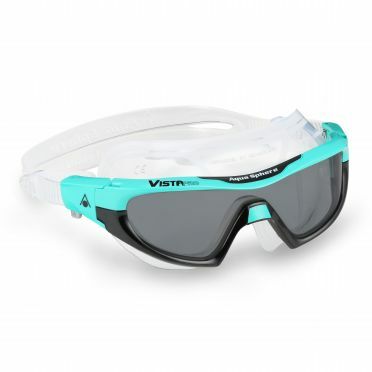 With a comfortable, leak resistent face piece and a rounded, stylized frame, the Aqua Sphere Vista has an extremely low profile that removes practically all resistance. 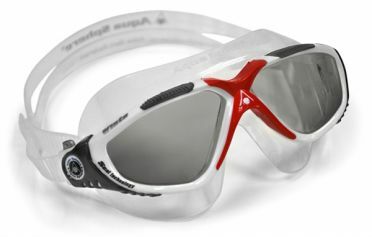 The Aqua Sphere Vista's crystal clear wrap-around lens offers an 180 degree view. This, along with the new Quick-Fit clasp system, makes the Vista so comfortable and care-free you would almost forget you were wearing it. Note: we advise you to test on 'dry' if the swimming goggles fit properly, before using them in the water (return is not possible after use in the water). The all new Aqua Sphere Kaiman EXO dark lens goggles black/silver is the successor of kaiman and is equipped with the new Aqua Sphere EXO-Core Technology to offer the glasses improved comfort and stability. 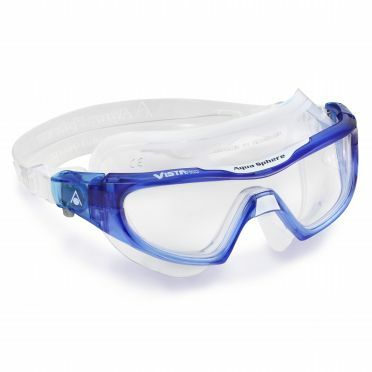 These streamlined designed and light swimming goggles have excellent sealing properties and it prevents pressure points on the eyes. With stress-free, flexible nose bridge. 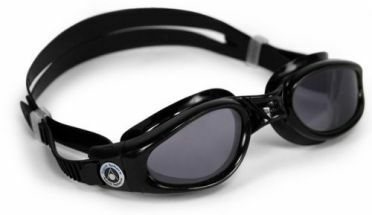 The specially designed dark lenses ensure a great vision during outdoor swimming or swimming in bright light. 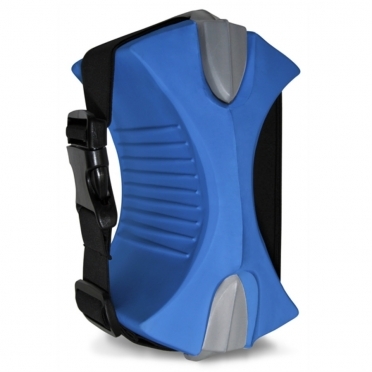 The new comfort-buckle system with micro-adjustment and low profile improves hydrodynamics. Note: we advise you to test on 'dry' if the swimming goggles fit properly, before using them in the water (return is not possible after use in the water). 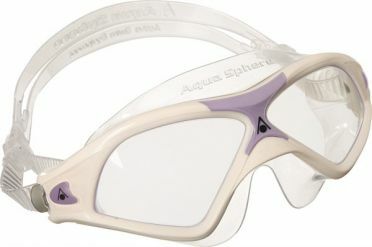 The Aqua Sphere Seal XP 2 Lady clear lens goggles white/purple is a flat constructed swimming goggle with innovative, easy-adjust buckle system. 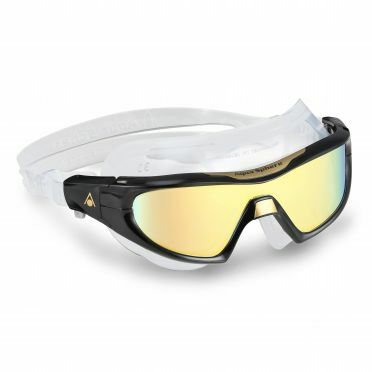 The frame is made of Softeril material and is equipped with Plexisol lenses for superior 180-degree visibility. This lenses features 100% UVA and UVB protection and anti-fog and scratch resistant coating for long lasting clarity. Note: we advise you to test on 'dry' if the swimming goggles fit properly, before using them in the water (return is not possible after use in the water). 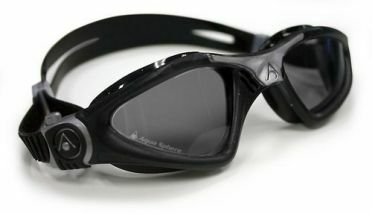 These Aqua Sphere Kaiman dark lens small fit goggles black have dark lenses and a coloured frame. 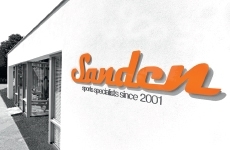 The 100% Softeril seal with small fit ensures the seal is very comfortable and water and leakproof. 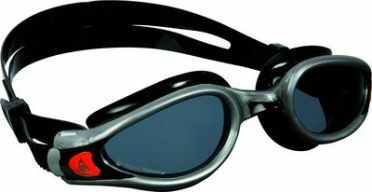 The specially designed dark lenses ensure a great vision during outdoor swimming or swimming in bright light. The Plexisol lenses give you a 180 degree vision without blurring. The lenses are coated with a scratch-free and anti-fog coating to prevent scratches and condensation. The Easy-adjust strap system ensures a quick and easy adjustable headband. Note: we advise you to test on 'dry' if the swimming goggles fit properly, before using them in the water (return is not possible after use in the water).